Daily Detox tea is a great way to throw away toxins from your body and ensure overall health. It’s a blend of a variety of herbs and these help in stimulating the body’s process of detoxification. These days, there are a lot of food products with toxins added. These detox tea help you fight these toxins and assist your body to get rid of them. These aid our organs in functioning properly. Hence, the colon, kidneys, intestines, skin and lungs, which are the natural detoxifiers of the body get an added assistance. Daily detox tea is available in apple cider cinnamon flavour and also the more common, original flavour. The various herbs in it have different functions to help your body detoxify. The sarsaparilla root helps to break gas and increases the urine flow. This is a blood purifier and helps to make the skin glow. Herbs like milk thistle give support to gall bladder and protect the liver against toxins. Red clover is another blood purifier which imparts additional immunity to the body as well. Another good herb for the liver is dandelion root and this is quite common in other green teas and detox teas as well. Burdock root expels all toxins from the system. It is greatly advisable to have a cup of daily detox tea before meals. Our body carries out it detoxification process at night. 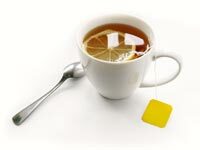 So having a cup of detox tea in the morning helps your body continue the process and give additional benefits. Cleansing the body is very essential. It could be the perfect thing for you if you are looking to lose weight. A complete body cleansing gives the system a jump start to detoxify and to have better metabolism. This tea is made of natural ingredients and has no side effects. It’s better to sip on detox tea than regular tea because these have no caffeine content in them. It is mild on the body and only helps it in many ways. It helps you in various ways. Some of these are better sleep quality, more energy throughout the day, better healthier skin with a glow and more immunity in the body to fight diseases.